Ben Nevis dominates the skyline at Torlundy and Tomacharich, just 3 miles outside Fort William town centre. You can’t actually see Ben Nevis very well from many locations in Fort William or from the A82 coming into town. 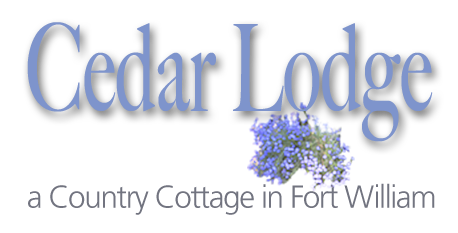 The photos in the slideshow above were all taken from Cedar Lodge and should give you a good impression of what you can expect if you come to stay with us. So, Cedar Lodge cottage is one of the closest cottages to the North Face car park for visitors looking to climb the Ben’s North Face or hike up to the CIC hut which is a stone building used by the Lochaber Mountain Rescue Team. We are also 5 minutes from the Nevis Range car park for mountain biking or gondola trips. We also operate the Ben Nevis HD WebCam from our property at Tomacharich, so if you are interested to see what the mountain looks like today, click the link opposite to see Ben Nevis today. The afternoons (GMT or BST) are the best times to see the mountain at its best as the sun often shines into the rugged cliffs and crags created dramatic side-lighting for stunning photos.